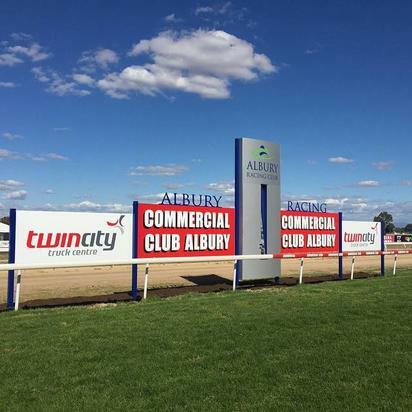 Craig Widdison will support Albury racing on Thursday, January 18 with four runners likely to compete with the first of the stable runners entering in a maiden handicap over 1175 m with Buster’s Princess kicking off the career as a four-year-old maiden from barrier 16 with Chelsea McFarlane aboard. A debutante by Strategic Maneuver, will jump from a wide barrier and will wear a tongue tie first time out, after showing promise when finishing third of five and 900m barrier trial at Albury with Nick Souquet aboard arriving behind Late Charge and Macca’s Hero in that heat. Four-year-old mare Blaze Of Glory will compete in a maiden plate over 1400 m with Nick Souquet aboard the runner jumping from barrier (9), she resumes from a spell & was last seen finishing fifth of 16 over a mile at Wodonga. She is back from a 20 week spell, without a barrier trial. First up last time she finished seven of 12 at Echuca. Mr Fergus will run third up from a spell with Nick Souquet aboard the four-year-old gelding when competing in a class one combined maiden plate over a mile jumping from barrier 7, 3rd up from a spell. Last time out he finished six of 8/1590 m at Wangaratta and is already a winner this preparation when winning fresh, a strong finisher who should rush late. Northkape will kick off with new trainer Craig Widdison after formally being trained out of the Robbie Griffith yard when finishing nine of 10/1000 m eight weeks ago at Mornington in a BM 64 handicap. She will be jumping here from an awkward barrier 12 with Nick Souquet aboard. Craig has made a gear change in adding a tongue tie, & although there are concerns from a wide barrier, she steps out with first up form of five wins from two outings.